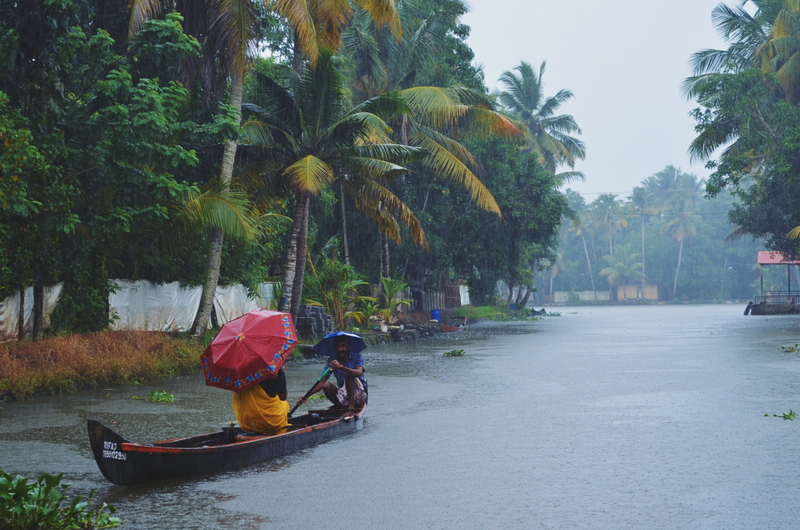 The first week of travel has been a whirlwind tour of Kerala at its lush, monsoon season. We started in quiet Kollam, to a more touristy Alleppey, and finished off with a few nights in the cosmopolitan colonial city of Kochi. We wake up early in the morning of our last night in ASSA, having slept the whole night without power. The drive to Kollam is serene. A public bus costing about $2 gets us a 3 hour bus ride to the neighbouring province. We drive through rice paddies, coconut palms, and finally head into the western Ghats that act as a natural border between Kerala and Tamil Nadu. Kollam is known for being a less touristy place to do backwater tours. From my understanding, the tours you get resemble narrow backwaters accessible by canoe. Our driver acted as our gondola driver, taking us through his village, giving us a glimpse at what like is like for the people living here. Another short bus ride takes us to a busier Alleppey. A note if you’re taking the public bus between these cities: there’s not a whole ton of room but good thing is the bus comes quite often. Just get there, and try to get a window seat. 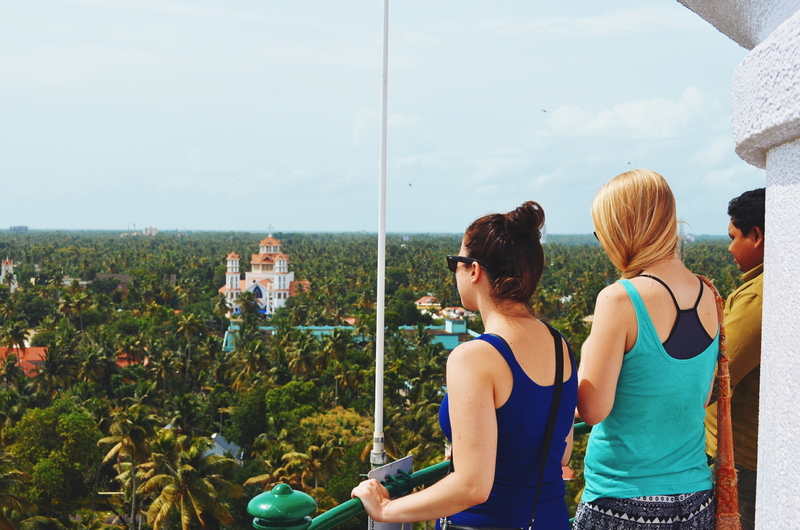 Alleppey didn’t make the best first impression. The canals that ran along the city were filled with garbage and gave off a toxic dark green colour. God forbid anyone fall into that water. Manage to book a full backwaters tour on a legit houseboat! This was wonderful. Balcony, sitting area, lounge area, and all for a comfortable price. Lunch from a chef from the village was included. At first people were quite friendly waving as they passed by (we were slow). But as it was the last day of Ramadan, it was very full of local tourists, making it unpleasantly crowded in the waters, canals crammed with houseboats at times. Towards the end, we noticed boatloads of young men and they would make cat call or just holler and whistle asking for a response. It got kinda old. Of course, they seemed particularly fascinated with Clare. With that said, it was still relaxing, and the rain made for a unique, serene feeling that I don’t think would have been the had we gotten straight sunshine for the whole time. 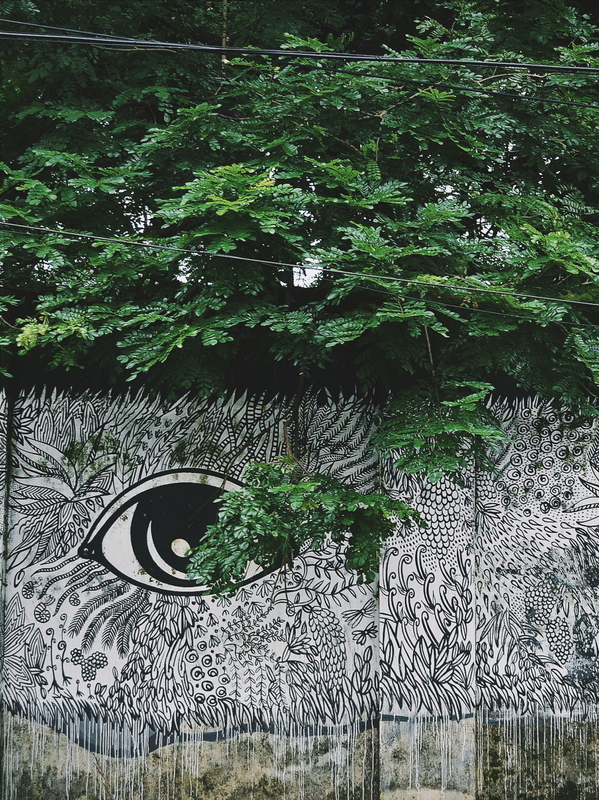 Kochi definitely has the most character though. 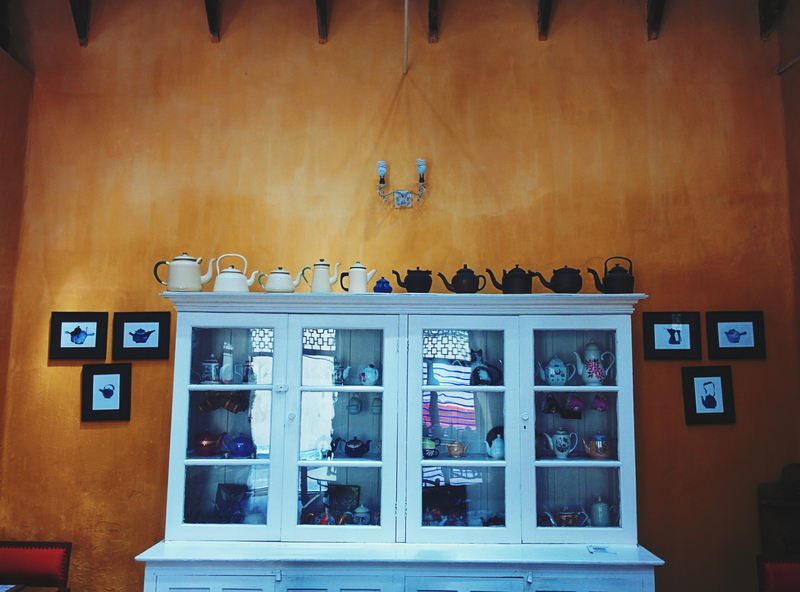 We stayed in a historically colonial part of town called Fort Kochi. 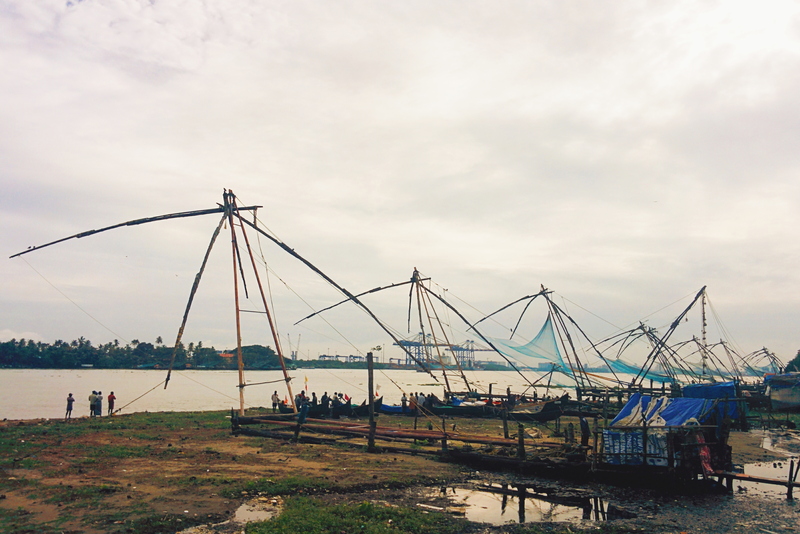 Kochi is famous for their Chinese fishing nets, but they’ve had a variety of influences from Dutch, Portuguese, Chinese, Arab, and Jews. The result is a cool mix in the architecture, people, and cuisine. Because of the early European missionaries, there is a strong Christian influence and you can see many churches. Syrian Christians were also in the area for many generations and have made their mark. The Jews have their own area in Mattancherry, where India’s oldest synagogue still stands. 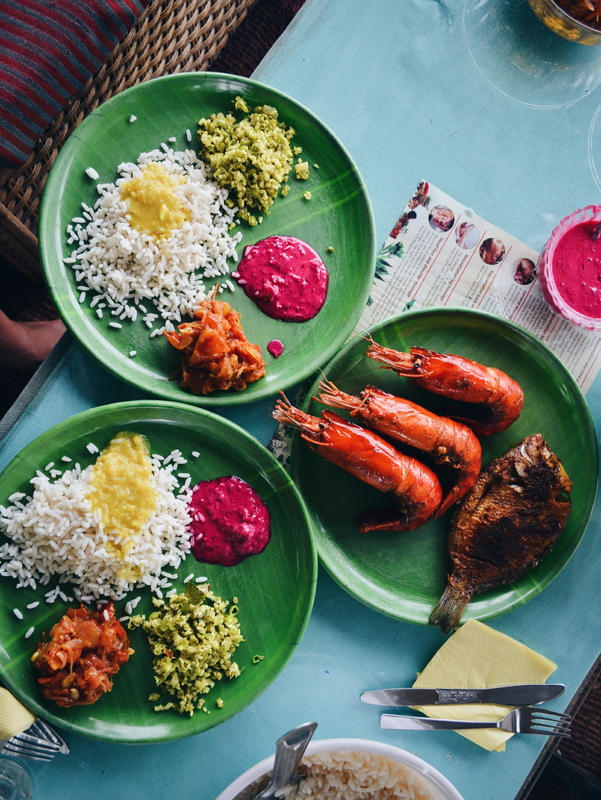 The food here is especially influenced by the spice trade as many recipes feature a distinctly different repertoire of spices than the north. Even the people don’t look typically Indian. Some looked Nepali, Filipino, some light and some dark-skinned, many had a distinctly Arab look to them. Very refreshing to see. Kerala isn’t without its share of powerful Indian men. One dude (forgot his name) was apparently ousted by the country, did business in the middle east, and is not the owner of Lulu Mall, the biggest mall in India. It seems that Keralans enjoy a higher quality of life here. Boasting a nearly 100% literacy rate, they also have access to good health care. Apparently some of the country’s best hospitals are located in Kerala. You see posters for it everywhere. Interestingly, there is a palpable communist presence here. The street anti capitalist street art and communist logos enforce the influence this ideology has had on this province. Towards the end of my stay in Kochi, I began to get really annoyed at the tuktuk drivers that would hang around outside our hotel or the restaurants. Many near the beginning were quite courteous, wishing you a nice day when you declined a ride. But many would follow you around insisting. A couple even followed us down streets and outright stated they needed the commission from shops, begging us to go into shops we had no interest in. I went on one such “tour” in Bangkok. Don’t get me wrong it was dirty cheap, but when time is precious, it makes no sense in taking any longer than it should to see/do what you want to do. It really got me thinking about visiting touristy places. Typically, the most popular tourist destinations draw people in because of their history. Think London, Paris, most Italian cities, Istanbul, Bangkok etc. Here, where a significant percentage of the money comes from tourism, touts and scams will follow. But to avoid them all together would also be a shame. Imagine going to Cairo and not seeing the pyramids because you couldn’t deal with the touts there. But it gets very tiring nonetheless. I’m reminded of my very brief stint in Izmir, Turkey’s 3rd largest city. Not particularly touristy or historically rich as neighboring Istanbul, but gosh it was fun. People were nice, they weren’t pushy, and most of all they weren’t trying to sell you a bunch of things you didn’t need. It was a breath of fresh air. On day 4, we check out of our hotel and take a ferry to the main city center. We hit up a mall (yes a mall) for a change of scenery and to see what the big deal is with this mall (its actually quite impressive). We also watched an Indian movie called Baahubali, which we will need to Google a synopsis for… Yes it’s a mall, but gee it was refreshing to speak with honest tuktuk drivers, and non-pressury sales staff. It was nice to see a slice of real life (mind you this is probably middle class+ life as many Indians would never dream of affording stuff here). Driving around Kochi it really drives home the different feel Kerala has. A mix of people, religious influence, a well educated population and some sense of a middle class. At a glance, it really seems more like a city in Malaysia or a neighborhood in Singapore than what you would imagine an Indian city to look like. I may change my thoughts after seeing more of the country. I’m currently finishing this post on an overnight bus to Mysore, a city in the province or Karnakata, known for the opulent palace of the former Maharajah. We’re doing a few overnight stints, eventually making our way to Goa for my birthday. 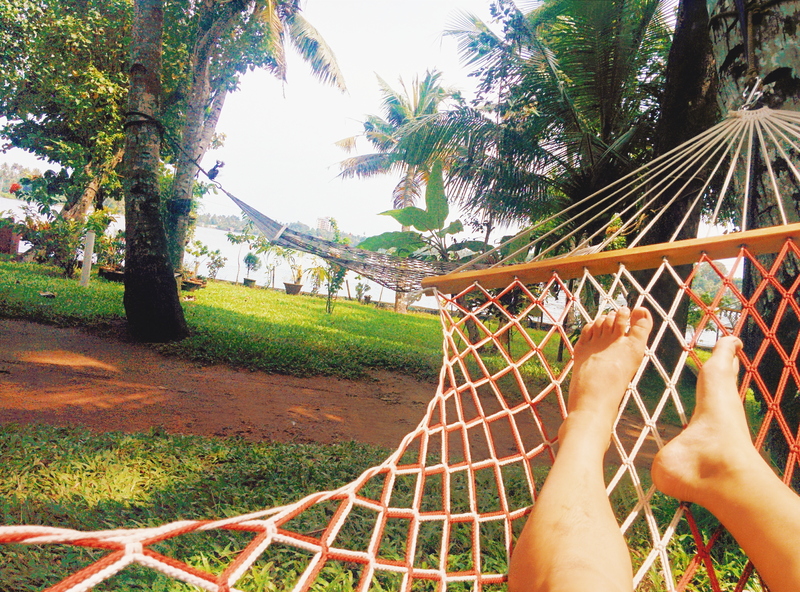 Hopefully the beaches of this hippie Indian province are not deserted!